NEW YORK – Close to eight decades ago, William Moulton Marston – whose name seems more suited to a stodgy novelist than a writer of comic books – created Wonder Woman. In the years since, the character has, of course, become a staple for DC Comics. She has also had a successful and varied career in other media, including a late 1970s live-action television series that aired on ABC for one season and on CBS (in a revamped version) for two more. While somewhat short-lived, the show – which starred Lynda Carter and Lyle Waggoner – exerted a considerable cultural influence. 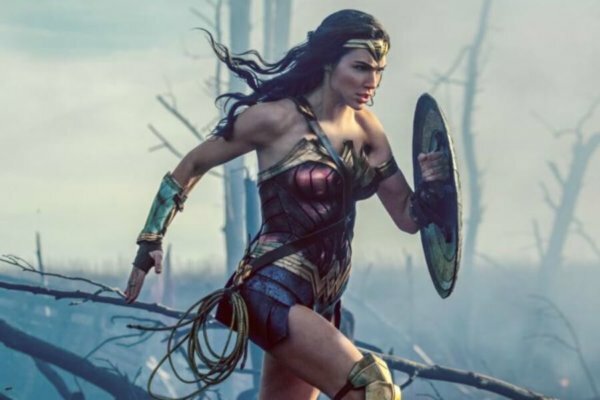 Now, embodied by Israeli-born actress Gal Gadot, who also played her in 2016’s “Batman v Superman: Dawn of Justice,” the familiar superhero holds the spotlight in the enjoyable adventure “Wonder Woman” (Warner Bros.). Director Patty Jenkins keeps the mayhem through which Gadot passes mostly free of gore. And the dialogue in Allan Heinberg’s script is unspotted by vulgarity. Yet tinges of sexuality make the film safest for adults, though some parents may deem it acceptable for older teens. Opening scenes take us to Wonder Woman’s native environment, the picturesque, Aegean-style island of Themyscira. Populated entirely by Amazons, Themyscira is isolated from the rest of the world by an invisible, protective but not impassable shield thoughtfully provided by Zeus. After chronicling some of Wonder Woman’s childhood (during which she’s played by Lilly Aspell and known as Princess Diana), including her military training under the isle’s chief warrior, Antiope (Robin Wright), the screenplay introduces an outsider in the person of Capt. Steve Trevor (Chris Pine). An American who’s spying for the British during World War I (an event of which the Amazons know nothing), dashing Steve drops from the sky when the German aircraft he purloined in an emergency is shot down. Diana takes his startling arrival as a signal that her race is being called to restore peace to humanity. Since her mother, Queen Hippolyta (Connie Nielsen), the ruler of Themyscira, disagrees, Diana undertakes the mission on her own. Guided by Steve, and with the support of Sir Patrick (David Thewlis), a high-ranking government official in London, Diana uses her battlefield skills to take on real-life German commander Gen. Ludendorff (Danny Huston) and Dr. Maru (Elena Anaya), the fictional, sinister scientist who runs Ludendorff’s chemical weapons program. Steve recruits three additional allies for Diana from among his old pals. This gallant but shady trio is made up of Moroccan veteran Sameer (Said Taghmaoui), Scottish sniper Charlie (Ewen Bremner) and a Native American black-marketer known only as The Chief (Eugene Brave Rock). The movie’s fundamental values are sound, if not always clearly expressed. Wonder Woman chooses to see the underlying goodness in human nature that the slaughter of the trenches masks. And she consistently strives for concord, though she shortsightedly imagines that this can be achieved by killing the last surviving Olympian, Ares, the god of war. Believing that Ares has incarnated himself in Ludendorff, Diana is convinced that assassinating him will end the current conflict and prevent any future ones. This sets her at odds with both Steve and Sir Patrick since they believe an armistice is imminent, and fear that the prospect of peace would be ruined by Ludendorff’s death. Despite the tension, however, everyone on Diana’s side seems to be striving to do good. On a more personal level, Steve and Diana – who have, of course, come to be more than mere comrades to each other – are discreetly portrayed as spending a night together, though the camera cuts away shortly after Steve locks the bedroom door behind them. In a more peculiar encounter earlier on, Diana walks in on Steve just as he is emerging from a bath. Incongruously for a man reared a century ago, he makes no effort to cover himself. Instead, he casually stands there while Diana satisfies her curiosity. It was probably inevitable that “Wonder Woman” would play on the humorous potential of the fact that its heroine has never set eyes a man before, though a subtler approach could certainly have been adopted in doing so. Along the same lines, the situation described above is followed up by some comically awkward wordplay that would not be appropriate for kids. Together with the pagan details incorporated into the movie’s milieu and backstory, these incidents suggest a cautious attitude on Mom and Dad’s part. The film contains frequent stylized violence with minimal blood, nonscriptural religious ideas, implied premarital sexual activity, a scene of immodest behavior, some sexual humor, at least one mild oath and a single crass term. The Catholic News Service classification is A-III – adults. The Motion Picture Association of America rating is PG-13 – parents strongly cautioned. Some material may be inappropriate for children under 13.